MissMuffcake: [day 10] Time To Start Hoarding! 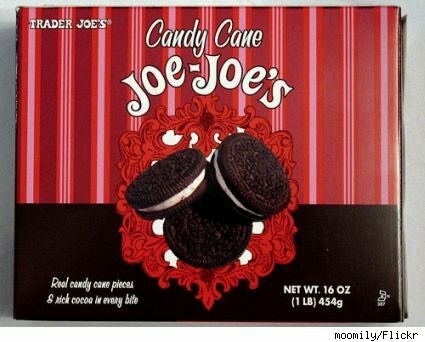 Last week I was told Candy Cane Joe Joe's would be arriving any day now. So when I went to check in and found out that a lady bought a whole box I was bummed. It took a few days to get another shipment in and tonight I got to grab a few boxes. These cookies are seriously good. I love them with hot cocoa or strait out of the box. I do not want to talk about them any longer...I better go eat a few now!!! I have never had these, but I love the ginger ones. Looks like it's time for me to make a field trip. Thanks for the heads up!